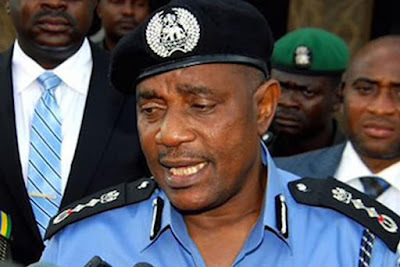 A former Inspector-General of Police, Solomon Arase, has lauded President Muhammadu Buhari for increasing the salary of the police. However, Arase said increase was not enough to solve the problems facing the force. The retired police chief spoke in an interview with our correspondent at the University of Ilorin where he chaired a Conference on Effect of Globalization on Culture on Tuesday. Arase, who said Nigerian policemen are the least paid in Sub-Sahara Africa, stated that the President had done well by improving their welfare. He said, “Increasing the salary of the police is a good development because anybody who works deserves his pay. And for the President to deem it fit to increase the salary is a welcome development, but increasing the take-home pay alone without improving other things cannot solve the problems of the police in this country. Speaking at the second joint international conference organized by the Faculty of Arts, University of Ilorin and University of Georgia, USA, the former IGP noted that globalisation is replete with positive and negative effects on culture. The theme of the conference is Globalization, Security, Governance and Culture in Africa. Arase stated that globalisation had impacted negatively on Nigerian cultural values as much as it had altered the complexities in crime, security and governance. He said globalisation had justified the need for a new way of looking at things, adding that it had strengthened security and governance in the country. Meanwhile, the Inspector-General of Police Ibrahim Idris has urged officers to justify the recent increase of their salary by redoubling their efforts.